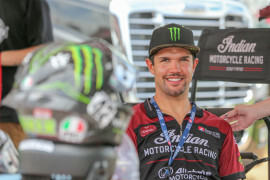 Brad “The Bullet” Baker won the Grand National Singles Championship in his first full-time year of racing in 2009 and went on to win the AMA Pro Racing Expert Grand National Championship in 2013. 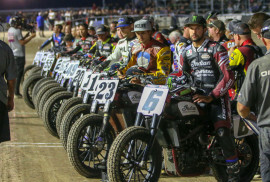 He also won the Superprestigio flat track race held in Barcelona in 2014 and took third place at the competitive 2015 X Games Harley-Davidson Flat-Track event. 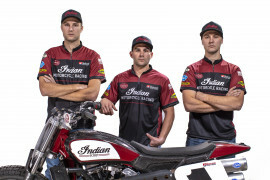 Riding the Indian Motorcycle Indian Scout FTR750 for the 2018 American Flat Track season, Baker’s been very consistent on the track with three podiums and nine top-10 finishes. Unfortunately, he was injured at the 2018 X Games Harley-Davidson Flat-Track event and is out for the remainder of the 2018 season. 2017 Washington's own Brad Baker was amazingly consistent in 2017 - except for when injured. And injuries proved to be his Achilles heel, at least in terms of the AFT Twins championship. While Baker didn't win a race in 2017, he reached the podium 11 times, and scored a total of five runner-up finishes. Problem was, he missed three races due to injury - and scored a 16th at Charlotte due to a mechanical. 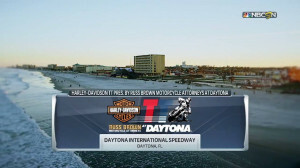 That kept him from competing directly with Mees and 2017 series runner-up Bryan Smith, leaving him third in the 2017 championship chase just six points in front of Sammy Halbert. 2016 – Finished sixth in the overall GNC1 point standings with eight Top 10s including a win at the Santa Rosa Mile and podiums at Daytona I and Springfield Mile I. Raced for Factory Harley-Davidson. Finished sixth in the overall GNC1 point standings with eight Top 10s including a win at the Santa Rosa Mile and podiums at Daytona I and Springfield Mile I. Raced for Factory Harley-Davidson. Finished eighth in GNC1 competition, despite suffering from an injury at the Black Hills round. 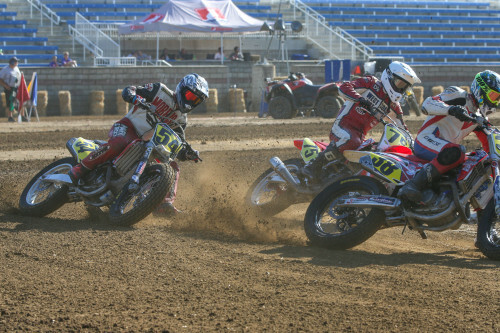 Earned four podiums, including wins at the Lima Half-Mile and Indy Mile. Raced for Factory Harley-Davidson. 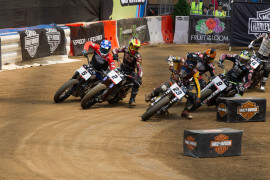 Also beat MotoGP star Marc Marquez in Superprestigio Dirt Track III in Barcelona. 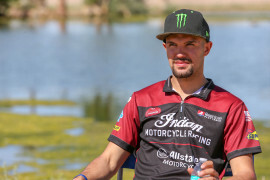 An offseason injury got Baker off to a slow start in his GNC1 title-defense campaign, and while he came on as one of the most consistent riders at the end of the year, he was forced to settle for a fifth place showing in points. He won the Calistoga Half-Mile and earned two other podiums while finishing inside the top 10 in the final 10 races of the year. Raced for Factory Harley-Davidson. 2013 Baker's seven podiums and two wins were enough to earn him his first career Grand National Championship. Earned first career GNC Expert win at Hagerstown. Competed for Dodge Bros Racing. 2012 Excellent year that consisted of seven top 10s in GNC Expert Twins and six top ten finishes in select GNC Expert Singles rounds. Best performance on single engine came at the Illinois State Fairgrounds where he led the most laps, earned pole position and won the race. Best performance on the twin engine came at LA County Fairplex where he placed 2nd. 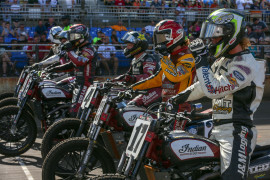 First season in GNC earned a pole at the Illinois State Fairgrounds, earned nine Top 5s, finished 6th overall in GNC and won the Saddlemen Rookie of the Year Award. Raced for Lloyd Brothers Motorsports/Ducati. Baker was the defending Pro Singles Champion and earned eleven podiums with four wins. Baker rode the Expert Twins class at each of the three eligible Twins events. Baker was the only Pro licensed rider to qualify for all three Expert main events. Raced with Rod Lake Racing. 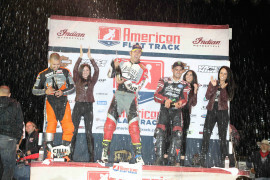 2009 Baker won the inaugural Pro Class Short Track race in Daytona on March 4th and placed second the next night. Baker also won the Pro Single National Championship. He won 4 races and made the podium 10 times out of 13. 2008 2008 Dirt Track Horizon Award Winner, was the Amateur National Dirt Track Champion in the 505 Mod. & 450 DTX Class, was 2nd Place Overall Champion in the 450 Mod. class, and was the West Coast Amateur National Dirt Track Champion in the 450 Mod. Class and the Open Am. Class. Placed 2nd in the MD250H Class at the USGPRU race in Portland, Or. 2007 West Coast Amateur National Champion in the 450 Mod. Class and the Open Am. 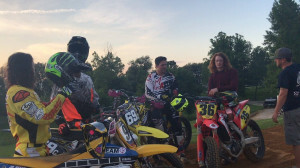 Class, was the 2nd Place Overall Amateur National Dirt Track Champion in 450 DTX Class & the 505 Class, and was the 3rd Place Overall National champion in the 450 Mod. Class. 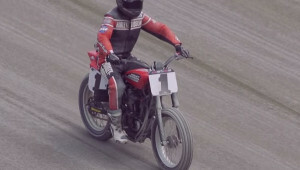 He also won the Top Gun 450 Class at the Gene Romero WCFTS race at Castle Rock, Wa. 2006 West Coast Amateur National Champion in the 250 4-Stroke Class, was undefeated in the Gene Romero 250cc Sportsman Class and was the 3rd Place Overall Amateur National Dirt Track Champion in the 250cc 4-Stroke class. 2005 Cycle News Fast Brain Award Winner, was the West Coast Amateur Champion in the 250cc 4-Stroke mod. Class and was the 7th Place Finalist at the Honda Red Rider Jr. Invitational Supermoto Challenge in Reno, NV. 2004-2001 Won 3 Amateur National Dirt Track Championships and 3 West Coast Amateur National Championships. 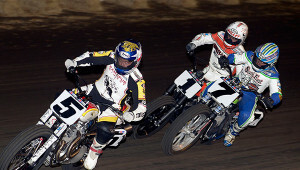 He has also won 15 Washington State Dirt Track Championships and 37 Track Series Championships in his amateur career.